We have been engaged in the basic researches of drug screening and patent applications but have not fully engaged in biosafety test and analysis on efficiency of drug delivery. 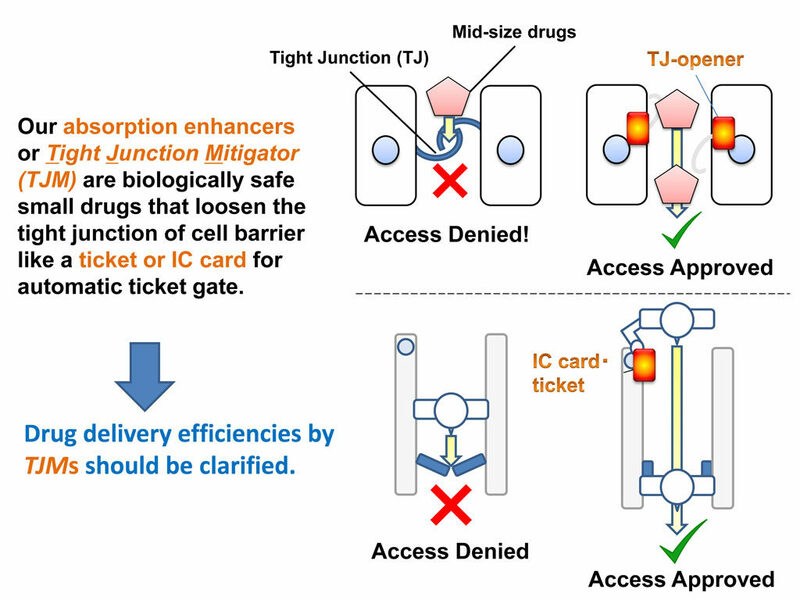 Instead of going for the biosafety test of our drug candidates for a moment, we have recently screened additional tight junction modifiers from natural ingredients extracted from herbs or FDA-approved drug library because, in theory, these molecules must be biologically safe. We have already succeeded to find various candidate molecules and now we are almost ready for patent applications. We are now in the phase of the analysis on drug delivery potentials of newly identified, biologically safe drug candidates.